Brand Financial Training > Studying and Revision > More Sleep, Better Memory! Ever pull an all-nighter while studying for an exam? Bet you have! In this article we’ll show you why going short on sleep does you no favours whatsoever. Planning, problem-solving, learning, concentration, working memory and alertness all suffer when you miss out on sleep. IQ scores also fall. This article shows us how crucial sleep is to our brain function and why sacrificing sleep in favour of a cram session is not a good idea. Sean Drummond from the University of California, San Diego, points out that staying awake for 21 hours reduces your level of ability to a similar level to when you’re drunk! While many of us may not stay awake for 21 hours in one stretch, how many of us have had two or three late nights and early mornings on the trot? Because that has the same effect! Conversely, people sleeping an extra hour or two perform much better than they normally do in tasks needing sustained attention, such as taking an exam. And of course, being able to concentrate harder means that your overall mental performance is better. If you’re able to boost your power of attention, everything else improves too. You need good quality sleep to allow your brain to process new memories and to practise new skills. Your brain even solves problems for you while you’re asleep. So if you’re trying to learn some new information, as you do when you revise, try studying for a couple of hours, taking regular breaks during that time, and then going to sleep. You’d be better off doing that than slogging through the night. Because, while you’re asleep your brain continues to work for you, reactivating the circuits it was using when you were studying and moving those new memories into long-term storage. That means that the next day, all that information will be there for you – you’ll have a better memory for what you’re trying to recall. 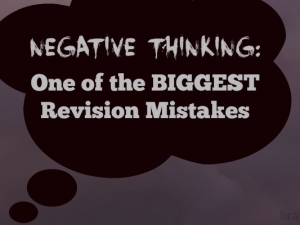 Of course, if you’re trying to revise for an exam it’s very important to revisit that information the next day after you’ve slept on it, or pretty soon you’ll forget it anyway. Carlyle Smith of Trent University in Peterborough, Ontario, is one of the many advocates of taking a nap after training of any sort, and points out that as well as helping you develop a better memory for your studies, it applies to any skills, such as learning to play a new video game, playing the piano, driving the car or playing tennis. There are other benefits too. You can solve problems and have flashes of insight in your sleep. The Russian chemist Dmitri Mendeleev purportedly created the structure of the periodic table in a dream after spending all day struggling with how it all fitted together. So, if you want to develop a better memory and get the most out of your brain, and if you’re revising for exams and want to give yourself the best chance of remembering what you’ve studied, all the research points towards the benefits of shorter bouts of revision, punctuated by regular naps. The perfect excuse for sleeping on the job if ever I heard one! 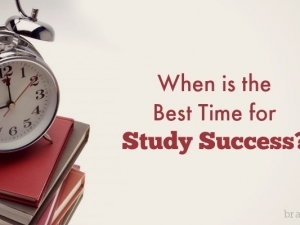 When is the Best Time for Study Success?